The Demolition of the Eiffel Tower is not only a symbolic title but a cry of alarm. It is a text of great strength – devastating in its impact. The Eiffel Tower is collapsing before our eyes. It is being demolished by the red, blue, green, and black sultans who are appearing everywhere. A perfect dramaturgical machine that spares no one in the act of dismantling, piece by piece, not only stereotypes, misunderstandings, and prejudices with respect to Islam, but the myth of a tolerant Europe as well. A traumatized ghost . . . a soul betrayed . . . a man under the spell of madness . . . The actor thrills to the roots of the hair . . . Political poetry in the broadest sense . . . observed from various angles, but always with a lucid bite. Very. Winner of the Katarina Josipi Award for best original drama of 2010, presented by the National Theater of Kosovo. 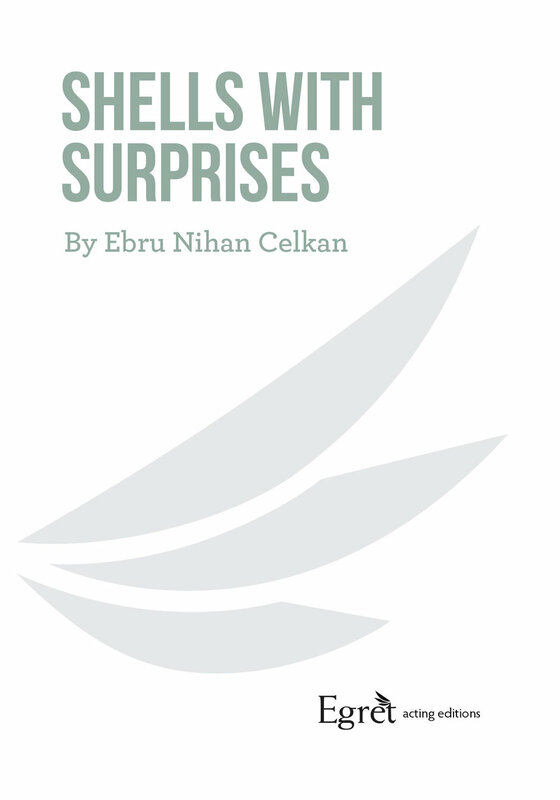 Winner of the first prize at the Festival of Monodrama, Vlorë, Albania in 2013. If you had to leave home in a hurry – in the face of a cataclysm – what would you take with you? 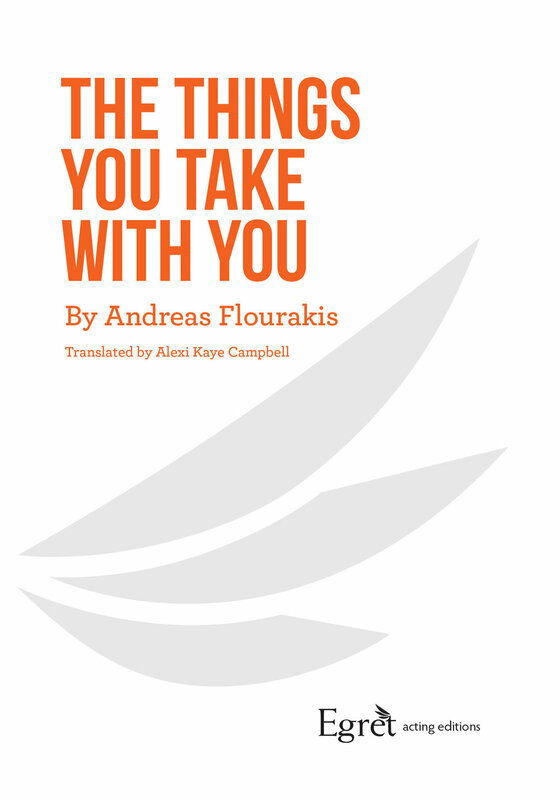 His goal is to show us around the chaotic, hostile, unwelcoming, wounded, helpless “land of men.” Flourakis engages himself . . . with the savage and sacred material of human nature. Commissioned by the Royal Court Theatre. Inspired by the refugee crisis. Following a sudden order by the Ministry of Sport, the National Theater of Kosovo is tasked with preparing a “national” play for the celebration of their long-awaited independence. The nation as a cuckoo’s nest? Its theatre as an asylum? . . . A farce that magnifies the relation between art and politics. A healthy and cheerful POLITICAL COMEDY . . . Neziraj laughs out loud in the face of bribery, brutality, dullness, lack of knowledge, ignorance . . .
Long after the war in Kosovo, two women – left with a gaping disappearance – observe an anniversary. How deeply incised, the claw marks of unseen crimes. An imaginary beauty parlor — within an insane asylum — is the scene of mesmerizing confessions . . . In a chorus of distinct voices, with every human impulse in play, they conjure up a country. In a vast underground complex, civil servants sift through our dreams. Enter Dan – the new hire for the prized job of interpreter. An application for a marriage certificate sets a Balkan town in a spin. 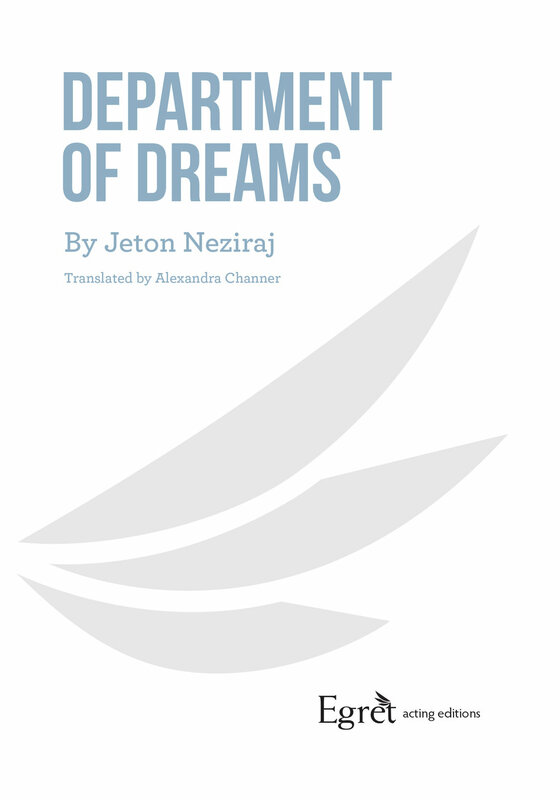 Perhaps more than any other playwright, Jeton Neziraj is constantly pushing the boundaries of what is acceptable subject matter in Kosovo. — Jack Davies, Equal Times, England. An official selection for the Global Queer Plays, Creative/Disruption festival produced by the Arcola Queer Collective in London. 55 Shades of Gay was highly commended in the BBC International Radio Playwriting competition 2018.